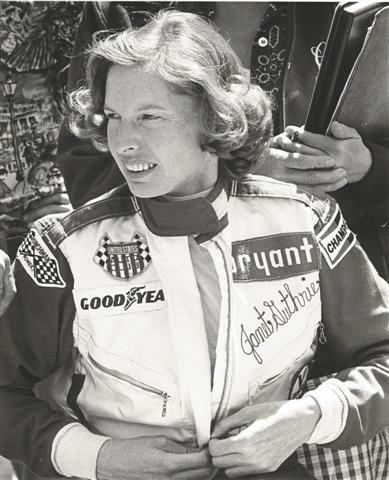 Janet Guthrie: A Life at Full Throttle Lots of folks ask us, "What's it like to be a woman in racing?" 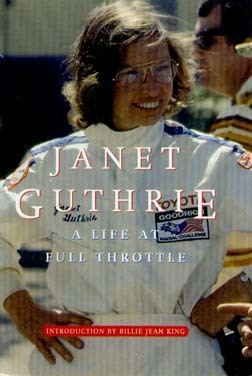 Well, if you want to get the real behind-the-scene scoop on what it's like to be the first woman in Gasoline Alley (Indy), or one of the first women to run with the boys in NASCAR, then this book is a must read...Janet Guthrie is a living legend, and a good friend of Thunder Valley Racing, providing encouragement and kindness to us over the years...We are pleased to provide high recommendations for her book “Janet Guthrie: A Life at Full Throttle.” Janet Guthrie’s own account of her racing adventures (Sport Classic Books, May 2005, $24.95) is available through bookstores and on line at amazon.com, etc. "The year's best books took us deep into the psyches of competitors like...race car driver Janet Guthrie, who wrote her own profile in courage...Guthrie turned out an uplifting work that is one of the best books ever written about racing--and establishes her as one of the sport's most eloquent voices." --Sports Illustrated, December 19, 2005 For an autographed and/or personalized copy of "Janet Guthrie: A Life at Full Throttle," send $30 ($24.95 plus S&H) to: Guthrie Racing LLC P.O. Box 505, Aspen, CO 81612 To write Janet or send something to be autographed, send mail to the above address. Please be sure to include a stamped self addressed envelope for items being signed or autograph requests. If you are writing from a foreign country, please enclose US postage or an International Reply Coupon (Coupon-Reponse International).